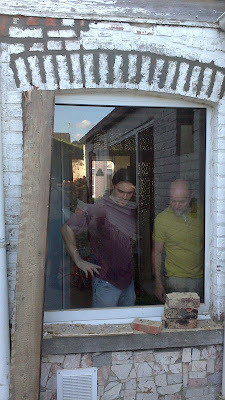 Pim's dad started fixing this bit over the window which was a bit messy. One of the bricks in the arch had dropped, and overall the cement was in bad condition. 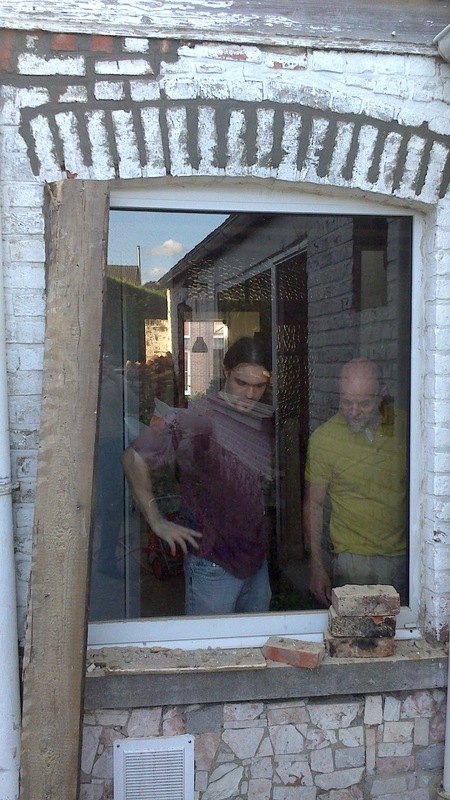 There is more to be done around this window, but today's cement has to dry first.